We gather sugar water from our orchard of trees, some of which are well over one hundred years old, using plastic tubing. After the water is collected it is processed through a reverse osmosis machine to isolate the sugar content of the water. This helps to reduce cooking time significantly. 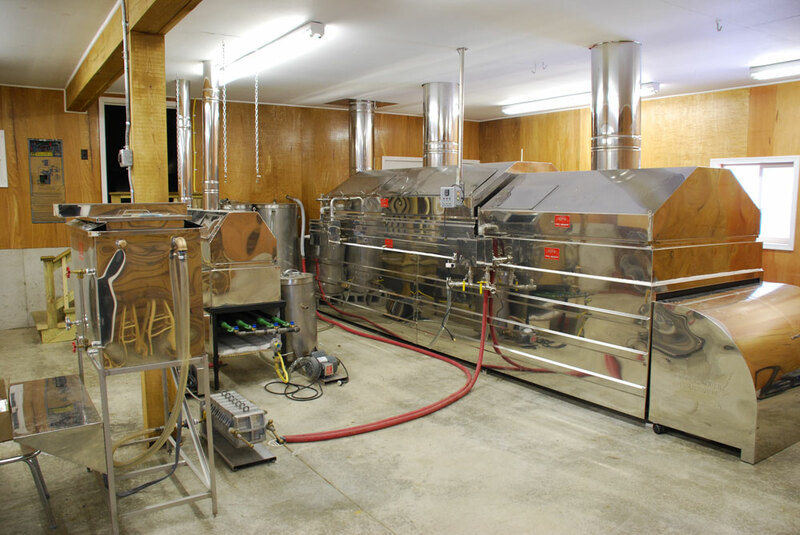 The water is then cooked in a special evaporator until it becomes maple syrup. Next, the syrup is boiled down again and filtered to remove any extra sediment it may contain. Finally the pure maple syrup is bottled and cooled before it is ready for sale. Give us a call, email us, or come visit during the Highland County Maple Festival to purchase (while supplies last).